WASHINGTON — During her testimony on Tuesday before a Congressional panel investigating Planned Parenthood’s alleged harvesting and sale of aborted babies, the president of the organization admitted that the abortion giant does not provide mammograms despite beliefs otherwise. “Planned Parenthood’s annual report says that you are providing over 489,000 breast cancer screenings, and you’ve stated that none of your clinics actually have the mammogram machines. How many of your affiliates have those mammogram machines?” asked Rep. Mia Love, R-Utah. “Well our health centers are part of our affiliates. We have more than 650 health centers. So an affiliate is simply the corporate structure for those health centers,” Planned Parenthood President Cecile Richards responded. “How many of them have mammogram machines?” Love repeated. She then explained that the organization only offers referrals for mammograms. 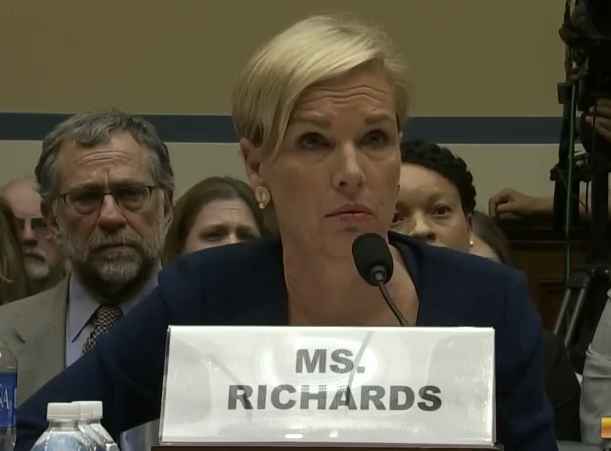 “As I think was mentioned earlier, for women who go for a breast exam—just as I got for my annual—you get a breast exam, and if you need a mammogram, you’re referred to a radiological clinic, and that’s what we do at Planned Parenthood,” Richards outlined. Rep. Cynthia Lummis, R-Wy., also brought up the matter during her testimony. “None [of your facilities] to your knowledge have a mammogram machine?” Lummis asked. “Right, we have different kinds of arrangements depending on the state to refer women for mammograms,” Richards replied. When Lummis asked what kind of surgical procedures Planned Parenthood offers for women, Richards said that there were just two: abortion and colposcopy, the latter of which involves examining one’s reproductive organs for disease. As previously reported, during the 2012 presidential debate, Barack Obama expressed support for Planned Parenthood, citing mammograms among the services that he believed the organization offers to women. “[T]here are millions of women all across the country who rely on Planned Parenthood for—not just contraceptive care—they rely on it for mammograms [and] for cervical cancer screenings,” he said. Earlier that year, Casey Mattox with Alliance Defending Freedom (ADF) wrote to Obama’s Health and Human Services Department to request copies of all mammogram permits for Planned Parenthood facilities across the country, and was told that none exist. Following the release of a series of undercover videos showing Planned Parenthood officials detailing the organization’s harvesting and sale of aborted babies, Congress is seeking to reallocate the group’s $235 million a year in federal funding to women’s health organizations that do not perform abortions.